The Clyde Transfer Terminal project involved the upgrade and extension of existing pavements within Veolia Environmental Services Waste Transfer facility. Staging and programming of the works were imperative in ensuring the continuous operation of the busy Waste Transfer Facility. 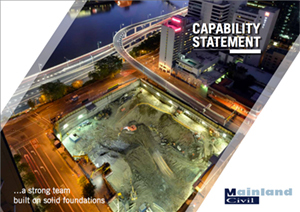 Mainland Civil’s scope of works included the demolition and excavation of existing pavements, subgrade improvement by impact rolling, stormwater works, concrete works and heavy duty pavement construction.